I just wanted to say that not only is the documentation of this project very well done, but to have the project come together close to the anticipated budget is awesome. Thanks, Rick. We at project ForkenSwift aim to please! The budget is looking great, actually. We estimated $1400-$2k total. To date we've spent somewhere around $950 CDN, with the single biggest expenditure being the forklift @ $340 (after scrap refund), followed by the (deeply discounted) machine shop work @ $250 to have the coupler made up & adapter plate fitted. If our used battery arrangement works out (ie we can get our minimum target range from them) we can avoid what will otherwise be the biggest expense. But the kicker is: left over from scavenging the forklift we have three valuable motors: an 8 inch pump motor, 12 inch drive motor, and a 6 inch permanent magnet motor (from the PS pump). And a good authority says the 2 bigger motors are worth some coin - a good proportion of the total spent to date Haven't decided what we're doing with them yet. Plus we've still got some used Metro ICE related parts to try to unload (like a new-ish gas tank). Having said all that, it looks exactly like a $500 electric car. 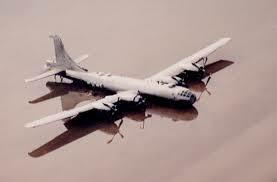 Did anyone see the epic PBS documentary about the salvage/restoration of the B-29 bomber "Keebird" in Greenland? And what happened on the (post resto) maiden flight? Yeah... What are you saying? One of your mechanics worked so hard he died, and then your car burned to the ground when you powered everything up? That was pretty depressing. I was floored by the program. Very interesting and pretty intense too. Nope, nobody has died yet on Project ForkenSwift. I will be keeping a fire extinguisher handy though! The 36v string was resting at 38v after yesterday's feeding. I'm not completely sure, but I think that's where it should be. 12.6-12.7v is where a 12v nominal car battery is supposed to rest when fully charged. If 6v floodies play by the same rules, then 37.8-38.1 is full. Did some "load testing" this evening. Shifted into 4th gear and spun the works up to 50 km/h indicated, and pressed the brakes lightly to add some load. Spun it up and down like this for about 5 minutes - roughly how long it'll take to go around the block . The snakes seemed OK with this. I intentionally left one cable connection to the passenger front ESS module a little looser than the others - it's the emergency disconnect. Sure enough, after a few minutes that terminal/cable was getting warm. The others stayed cool. There's a nasty thunk when the motor torques the drivetrain into action from a stop - I think we've got a bad rear motor mount. Also, the mounts may not be "pre-loaded" the same way they were with the ICE in there - it was heavier, and probably balanced the works differently. Anyway, not a deal breaker or anything, just something I noticed. DEFINITELY want to keep a fire extinguisher around. Good thinking. Yesterday I went all the way back and read this thread from the start. Your story of welding on the inside and then leaning out to blow out the fire on the outside made me cringe! After the first incident I had a hose on standby, in case I ran out of breath putting out the flare-ups. It did give me an appreciation for what can happen with brazing, welding (or arcing battery connections for that matter). Well, at the end of March one year ago we were realizing that the red Suzuki Swift that lent its name to Project ForkenSwift was waaaaay rustier than we had originally thought. A week later, we would declare the car "DOA" as a host vehicle, and the hunt was on for a replacement. Flash forward a year, and the red Swift lives on: this afternoon its wheels, struts, axles, brakes, hatchback and a pile of other parts collectively contributed to the ForkenSwift's first electric test drive! I'm excited to say we took it up and down the street a bunch of times, and (once the bravery arrived) around the block a couple of times as well. to shame! It sounds awesome. A very quiet, almost turbine like whirr - nothing like the Volt's "differential-eating-itself" soundtrack. The loudest thing in the car - when going - is the speedo cable. When stopping - the rusty brakes. On one pass, I pulled into a driveway to turn around, and across the street a couple of guys were wrenching on a Neon. They stopped working and stared at the FS, and it was obvious they were somewhat perplexed. Then one stood up and yelled over: "how come your car doesn't make any noise?" "It's electric!" I yell back. I got it all on video Will post some tomorrow or Sunday. PS - not surprisingly, the freebie floodies are toast. We drove maybe 1 km total, never went over about 25 km/h and even with stopping twice to freshen them up with a 20-minute blast from the charger, the car was just crawling at the end. It needed a helping hand to get back up the driveway the last time. WOW, that's really, really great news. Kudos on the milestone and the impromptu accolades. I wonder if there is a worthwhile way to "recondition" them. I've read of some rejuvenating methods, and personally tried one procedure in my more desperate past (the zapping method - and succeeded), though it wasn't for a deep-cycle project. Better luck on the batteries, but remind me, how much range were you hoping for? Awesome news MetroMPG! I can't wait to see the video. Does this mean that ForkenSwift will be your new daily driver? Definitely custom paint and graphics (but yeah, I know it's not your style) -- but I think average people will eat that stuff up as the Neon guys did. I haven't looked into this yet, though I have seen the word "desulfator" floating around various places. I had an idea for upping the supply of used batts which may work out. I've charged the car a few times now and started monitoring individual battery charges - some of them are quite healthy. Others are toast - and of course the pack is only as good as its worst batt, so there may be hope. Does this mean that ForkenSwift will be your new daily driver? Nah, my old 10-speed will remain the daily driver! And yes after resting from a full charge should be 6.3 per battery or 37.8 for the string. I am seeing 6 amps when full. I'll have to double-check the charging voltage, but I think it's around 45. Nothing yet. "Custom paint" will entail sanding the rust spots off and coating with colour match! Actually, I seriously want to put a racing stripe on it. Irony defined. BTW, I made and uploaded a neat 5-minute video of the first drive activities. Just waiting for YouTube to process it and spit it back out. Today: added 2 more batts to the string, for a total of 48v. This made a noticeable difference; it turned the car from "interesting science experiment" but too slow to be practical, into a barely usable car. At 48v, it would never handle the cut & thrust of typical urban traffic, but as an NEV equivalent on the side streets of a small, quiet city, it'll be fine. With some effort (EV hypermiling!) I managed to go 5.x km around the neighbourhood today on one charge (but 3 separate journeys). I also started documenting individual battery voltages after each run to see if I can figure out which batteries are weakest. Turns out driving around the neighbourhood is an excellent "load test" procedure - the bad batteries are quick to reveal their true selves, relative to their pack-mates.